Discosodoma is celebrating its fifth anniversary this weekend (April 13) with a special event featuring the likes of Massimiliano Pagliara (pictured), Chapter 10 and Dalston Superstore’s Dan Beamont and more. As Dalston’s longest running queer club night, Discosodoma has hosted the likes of Red Axes, Jennifer Cardini, Powder and more ever since its inception in 2014. For its highly anticipated birthday party, the talented team have locked in Panorama Bar resident Pagliara’s first London gig since the release of his third solo album. The night will once again take over cult venue Dalston Superstore, inviting duo Super Drama to join the party alongside DJ Atariarmani. 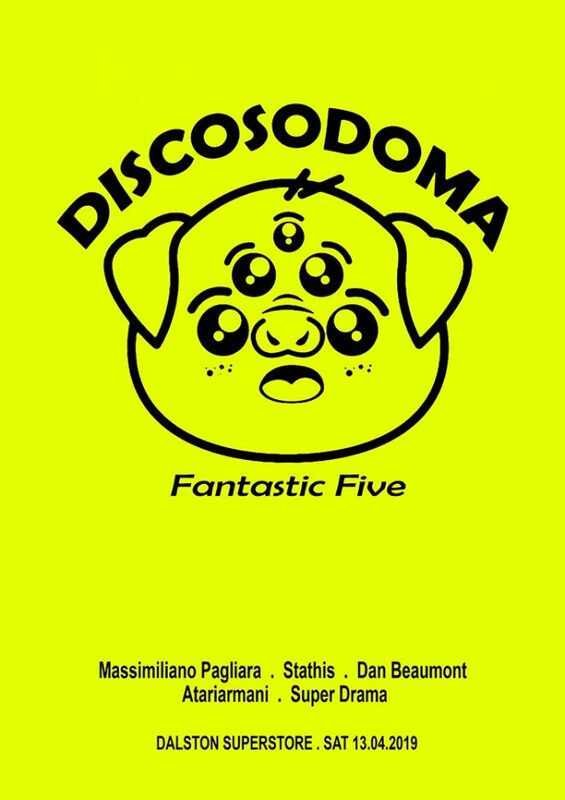 Discosodoma’s ‘Fantastic 5’ party takes place tonight at Dalston Superstore. Check out the flyer below.